Kate Finn has been designing Baby Toys since 1978. 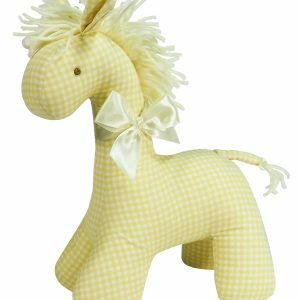 Over the years generations of children have received and treasured Kate Finn’s beautiful baby toys. Designs are created with all tastes in mind from gentle pastel colours to vivid fun prints. Fabrics used are of the highest quality and the construction of Kate Finn’s toys have no removable parts for busy little fingers to tamper with. Kate Finn Baby Toys and Rag Dolls Get Animated! Kate Finn is now creating short animated stories about “The Finnies” featuring Kate Finn Rag Dolls and Baby Toys like our Caramel Check Elephant Baby Toy. These short stories have been beautifully crafted to keep little ones enchanted by the gorgeous graphics and sweet characters. Episodes are available to download from Kate Finn’s YouTube Channel so you can keep little ones entertained for hours! Because of Kate Finn’s distinctive and traditional style, our designs have always been outstanding in the marketplace. Their long lasting appeal has been maintained due to their amazing quality and the wonderful variety of fabrics that are used. Loyal ongoing interest is also achieved by introducing new up-to-date fabrics through out the year. 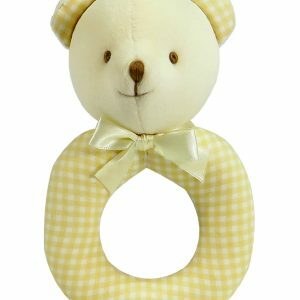 Each of Kate Finn’s soft baby toys are designed to engage the child in numerous ways. 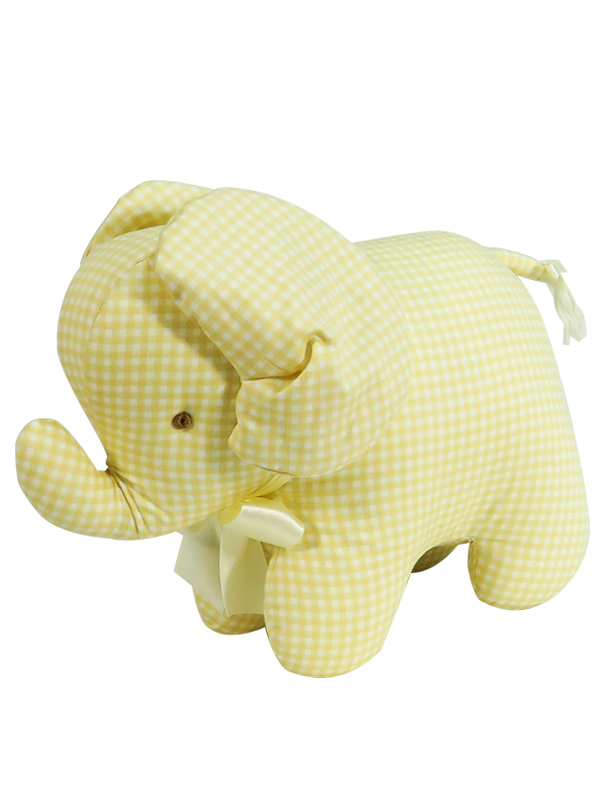 The fabrics are colourful with interesting patterns to attract newborn eyes and every toy is soft and cuddly. The embroidered faces are friendly and gentle. 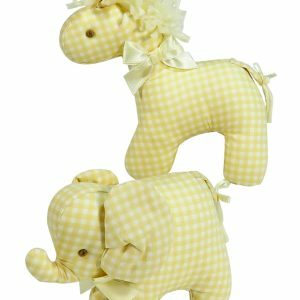 The toys are trimmed with soft smooth satin ribbons and have soft little ears that children love to stroke. Babies mouth everything so Kate Finn toys are safe and fully washable. Because of their unsurpassed quality these products last for years and are often handed down through families, although many children form such an attachment to their favourite toy that they refuse to part with it. We are quite used to getting an SOS from a desperate parent when a much loved Kate Finn toy has been lost. While the quality of these baby toys result in a long life, children change and develop new tastes. 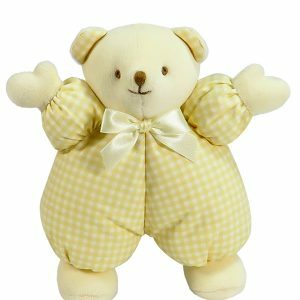 Kate Finn offers a range of rag dolls and porcelain dolls for your child to enjoy as they grow older. Along with the delicate designs of our dolls, there is also an option to choose from the iconic golliwog range. Add an embroidered felt gift tag to commemorate special events such as a First Birthday, First Christmas and Merry Christmas. These reusable tags can be tied to the wrist of a Doll or Baby Toy, to Gift Wrapping, Party Favor Bags and Christmas Trees.